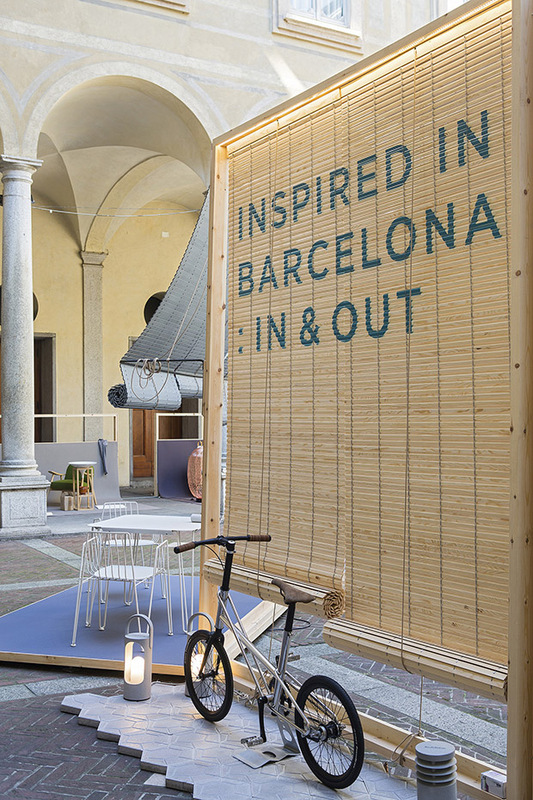 Milano is the capital city of design every April. 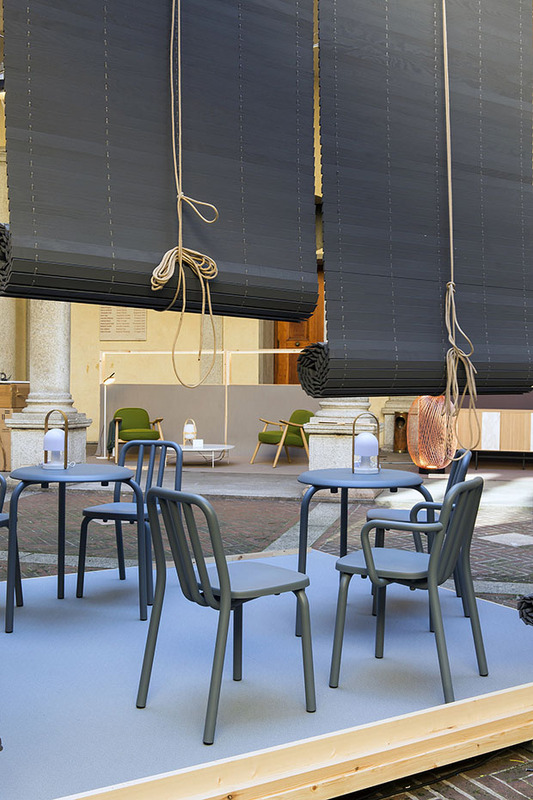 Salone del Mobile capitalizes all the news about furniture. But further from the fair, you can breathe creativity in every corner. Let’s take a walk in Fuorisalone by Mobles 114. 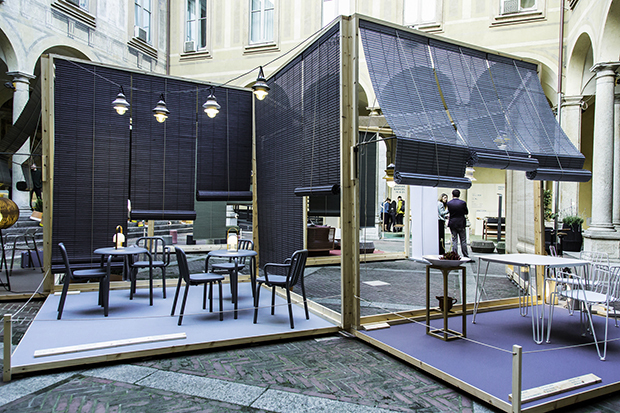 Historic palace was the biggest contrast at the exhibition A matter of perception, organised by Damn Magazine. 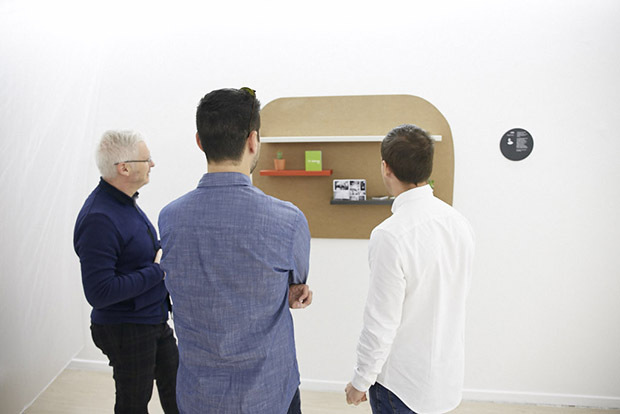 A social point and network where Linking minds, where you can find Surface&Interface. An exhibit curated by RED AEDE in collaboration with Valresa and the support of ICEX, España Exportación e Inversiones. New technology Virtual Melt by Valresa allowed the REDmembers to collaborate with designers, illustrators and visual artists to personalize some of their furniture pieces. Bendita Gloria studio created an illusory scenario where technology interacted with TRIA by Mobles 114 placing fictitious coasters which question our perception and help us to be tidier. 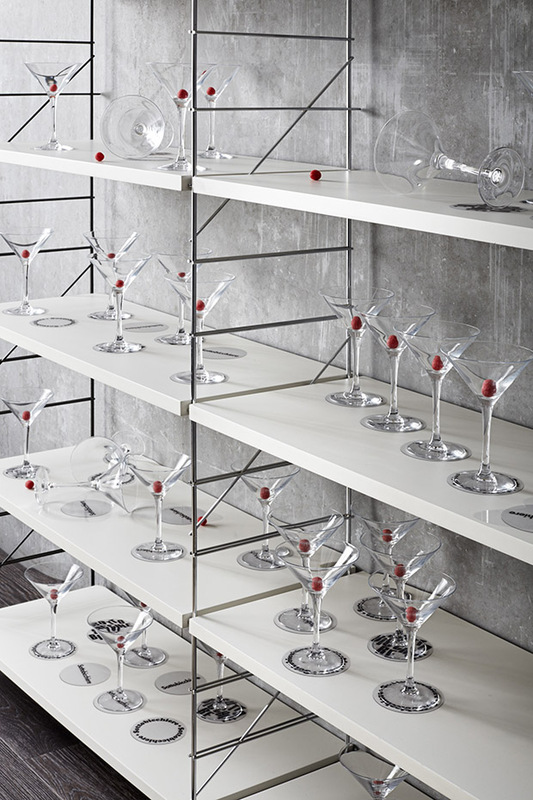 A beautiful way to place the glasses. 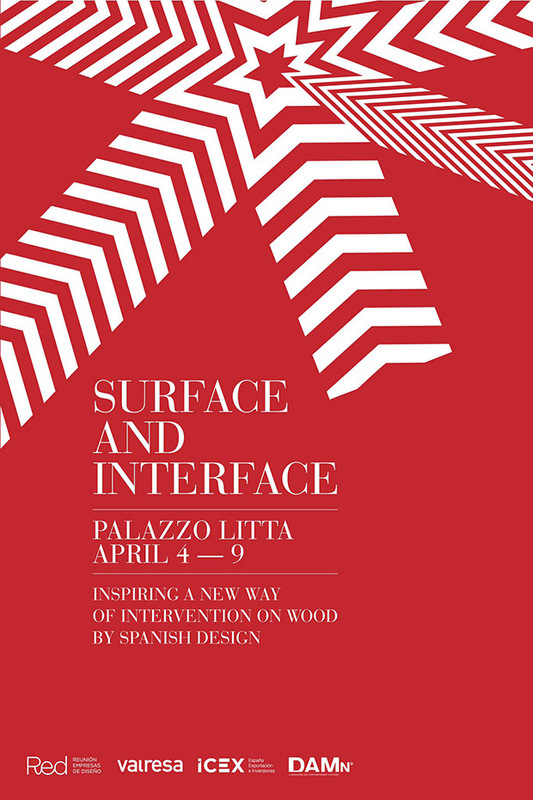 Another wonderful building, Palazzo Isimbardi, was home for the exhibition organised by ACCIÓ (Generalitat de Catalunya) and BCD Barcelona Centro de Diseño. 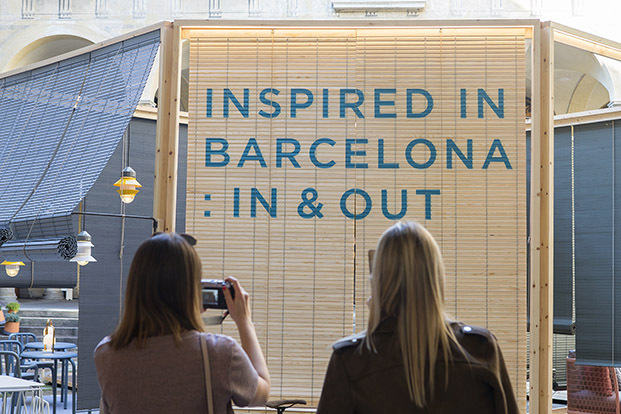 ‘Inspired in Barcelona: In & Out‘ showed Barcelona as an open city, an invitation to live outside and enjoy the creative and cultural Mediterranean flair. 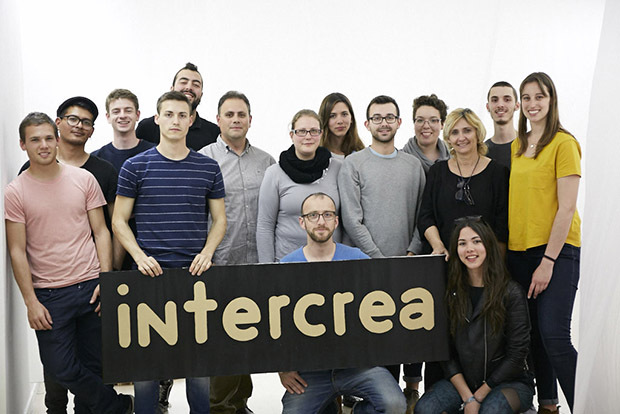 Interaction and creative synergy at this project by Universitat Jaume I and Clausell Studio with design students of « Grado en Ingeniería en Diseño Industrial y Desarrollo de Productos ». 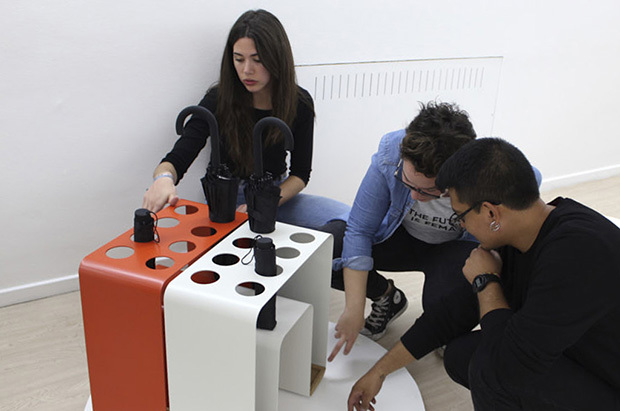 Michael Alexander, Judit Andreu, Vicent Blai, Carlos Joaquín, Joan Martí, Miguel Oury, Alba Puerta, Borja Sánchez, Paula Usó, Núria Vernís and Francisco Viciano presented Line shelve, Obbo umbrella stand, Octa and Ona bins and Ric charging totem; all of them developed thanks to a collaboration with Mobles 114.